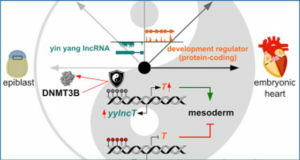 Accumulating evidence indicates that long non-coding RNAs (lncRNAs) play important roles in tumorigenesis and progression. 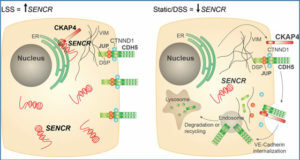 Researchers from Shandong University aimed to identify a panel of lncRNAs for the diagnosis and recurrence prediction in bladder cancer (BC). 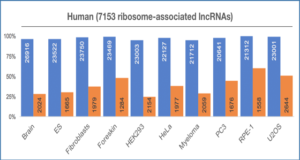 The expression of 13 candidate lncRNAs was investigated in 80 BC and matched adjacent normal tissues via quantitative real-time PCR. 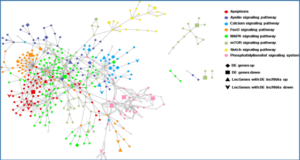 The differentially expressed lncRNAs were then analyzed in 240 serum samples (training set) and three lncRNAs (MEG3, SNHG16 and MALAT1) showed differential expression. A logistic regression model was constructed using the training set and validated in an independent cohort of 200 serum samples (validation set). 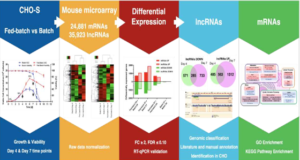 The AUC of the three-lncRNA panel was 0.865 for the training and 0.828 for the validation set. The diagnostic performance of the lncRNA panel for Ta, T1, and T2-T4 were 0.778, 0.805, and 0.880, which were significantly higher than those of urine cytology (0.548, 0.604, and 0.682, respectively). 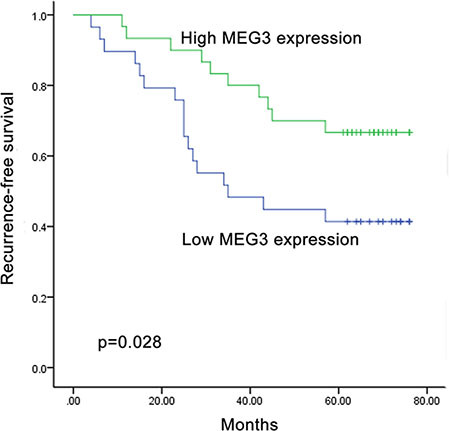 Moreover, the researchers determined that low expression of MEG3 was associated with poor recurrence-free survival by Kaplan-Meier analysis (p = 0.028), univariate Cox analysis (p = 0.033) and multivariate Cox analysis (p = 0.046). In conclusion, our results identified a three-lncRNA panel for BC diagnosis and a recurrence-independent prognostic factor, MEG3. 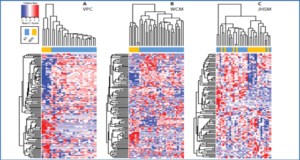 Recurrence prediction of MEG3 expression. Kaplan-Meier curve showed that low level of serum MEG3 was associated with a worse recurrence-free survival in NMIBC patients in validation set.